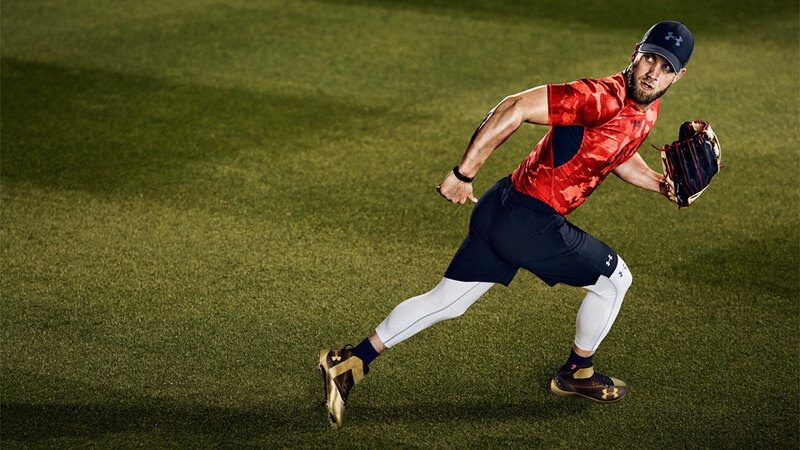 Stats might be a big deal in baseball, but four-time all-star Bryce Harper wants young players to know there's something more important—their feet. Under Armour is out with a new campaign from Droga5 titled "It Comes from Below," promoting the brand's shoes. It launches this week with an ad for the Washington Nationals' new namesake Harper One cleats (which, naturally, the Nats' right fielder will be wearing at Tuesday night's All-Star Game). In the commercial, Harper stands at the plate in an empty field, practicing his swing. The voiceover (by Harper's high school coach, Sam Thomas) rattles off his impressive accomplishments by the numbers—precocious gains as a teenager, impressive averages, a unanimous MVP selection—all while his bat cracks against the ball again and again, punctuating each data point. The score crescendos, his practice intensifies along with his internal monologue, the pressure might even seem to be getting to him, except for one simple fact—it's that thwacking sound that he loves more than any quantifiable accomplishment, and he has his stance (now clad in flashy new black-and-gold Under Armour money makers) to thank for it. The intense discipline and solitude of the superstar athlete is anything but a new tack for sports marketing. A similar dynamic helped drive Under Armour and Droga5's Michael Phelps ad to a Film Craft Grand Prix at Cannes last month. But that basic trope is executed pointedly here. The frenetic pace, the doubt and the repetition give way to a sense of quiet born of a pure love for playing the game at the highest level—even if the numbers-soup metaphor does get pushed to the verge of comical, with stadium seat and section numbers entering Harper's mental fray. Future installations in the campaign, coming this fall, will feature Carolina Panthers quarterback Cam Newton. And the basic premise of the campaign—that greatness starts with solid footwork—is hard to argue with, even if it's a little grounded for an advertisement.